😀 to my shame I don’t know. They are very common here, so I probably should know. People catch me out like that all the time. Just coz you take the photoe doesn’t mean you know what it is! Exactly. 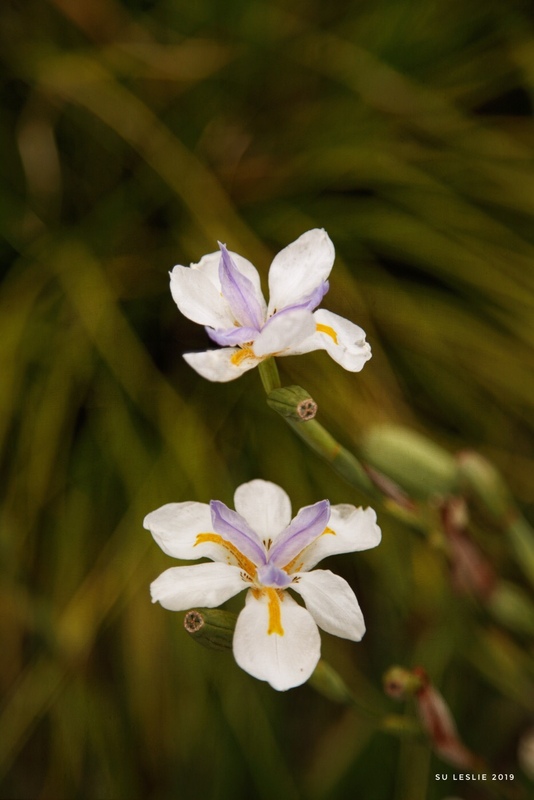 Luckily Jude has identified it — Dietes grandiflora or Fortnight Lily or African Iris or Butterfly Plant. I don’t know what I would do without her. Thanks, I googled it. I’ve definitely seen it around. Beautiful flower. Dietes grandiflora or Fortnight Lily or African Iris or Butterfly Plant is native to South Africa but also naturalised in south-western Western Australia and south-eastern Queensland. I saw a lot of this flower in NSW too. Very pretty. Thank you Jude. I am in awe of your botanical knowledge. I had assumed this was a native, because it’s planted so much on public land here. Presumably it has been naturalised in NZ too. Yes; I found some for sale in the garden centre yesterday. Serendipity! Mmm…I wonder if I can buy some here. They are rather lovely. 😀 not sure. Endemic round here, but I don’t know the name. Oh, I know all about the frustration of getting a good close-up of a flower swaying back and forth in the wind. Great photos, Su! So pretty Su, I’m not familiar with this flower. 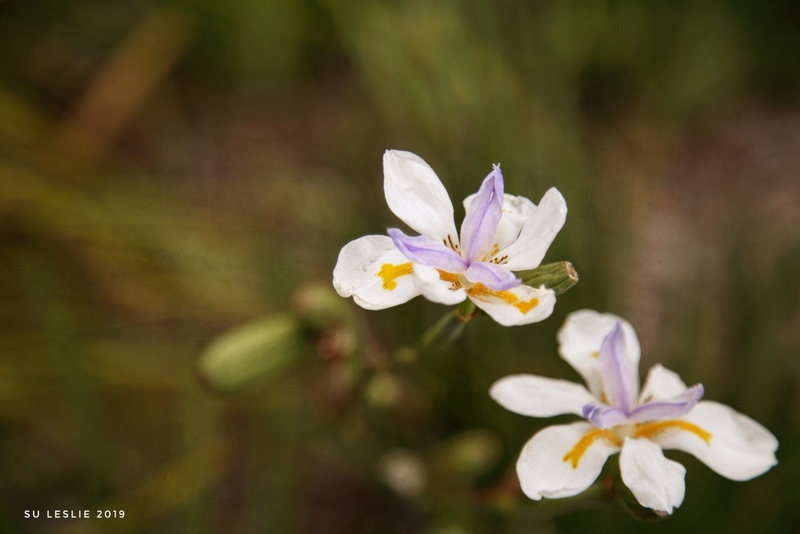 Our wonderful botanist Jude has identified it as Dietes grandiflora or Fortnight Lily or African Iris or Butterfly Plant. It does have an Iris quality to it…. Those poor beauties would be in trouble here today. We’re having tremendous winds. 😦 Hope they ease soon. I’m guessing it’s pretty cold too?